In the state of Texas, drivers who have two or more drunk driving convictions over a period of five years are required to install an ignition interlock device in their vehicles. Drivers who are arrested for a first offense must also have an ignition interlock device installed on cars that they own. Motorists must pay for the cost of the ignition interlock device. The device typically must remain on a vehicle for at least one year following the period when a license is suspended. An ignition interlock device can be costly to install and operate, and it can be burdensome and embarrassing as all drivers who use the vehicle must blow into the device in order for the car to start. Unfortunately, the only way to avoid having an ignition interlock device installed is to avoid a conviction for an offense that would trigger the IID requirement. A DUI defense lawyer can assist you in defending yourself or exploring plea bargain or diversion options to avoid a conviction that could trigger the required use of an ignition interlock device. Do Ignition Interlock Devices Work to Prevent Impaired Driving? Mothers Against Drunk Driving (MADD) revealed that there were around 305,000 ignition interlock devices installed in the United States as of 2013. The use of ignition interlock devices has increased at a rate of 30,000 units every single year over the past eight years. An ignition interlock device works by making it impossible to start a vehicle until you blow into a device installed on the dashboard that tests your blood-alcohol concentration. If your BAC exceeds .02, the vehicle will not start. There are also rolling retests that are required to ensure that the driver who initially blew into the test is the one operating the vehicle and is staying sober during operation. A rolling retest gives the driver a limited period of time to have his BAC tested again after he is driving. A failure to take the test, or a BAC above the limit, results in an alarm going off and the driver must stop operating the vehicle. Because ignition interlock devices essentially make it impossible to drive drunk, there is a decrease in re-arrests among people who have been required to have these devices put into their vehicles. However, research has shown that the devices only have an impact for as long as they are actually installed in the car. 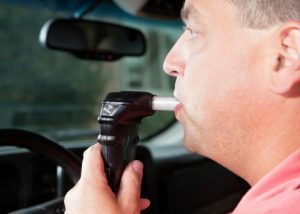 After an ignition interlock device is removed from a person’s vehicle, the rate of re-arrest for a subsequent drunk driving offense returns to normal. This suggests that these devices do little to actually solve problems that may cause people to drive while impaired. They are expensive, and have no long-term benefits so regulators may be better off finding alternative ways to stop drunk driving. Offenders may also benefit from being able to negotiate plea bargains or enter into diversion programs that provide drug and alcohol counseling rather than being convicted and simply having to pay huge sums of money to have an ignition interlock device put into their car. Call Joseph LaBella & Associates today at 800-395-5951 or visit http://www.texas-dwi-lawyers.com to speak with a Houston DUI defense lawyer. Serving Harris County, Montgomery County, and communities along Interstate 45 through The Woodlands and Conroe. This entry was posted on Monday, October 27th, 2014 at 4:39 pm and is filed under Drunk Driving. You can follow any responses to this entry through the RSS 2.0 feed. You can leave a response, or trackback from your own site.